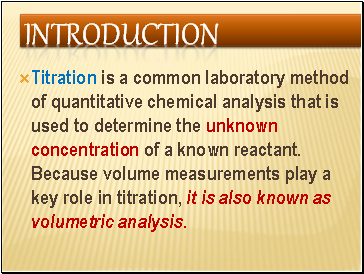 Titration is a common laboratory method of quantitative chemical analysis that is used to determine the unknown concentration of a known reactant. 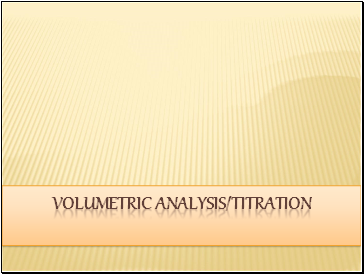 Because volume measurements play a key role in titration, it is also known as volumetric analysis. 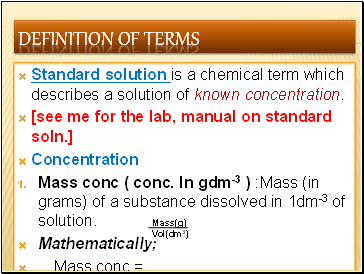 Standard solution is a chemical term which describes a solution of known concentration. 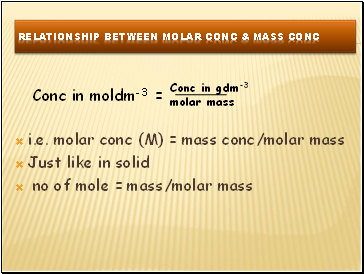 Mass conc ( conc. 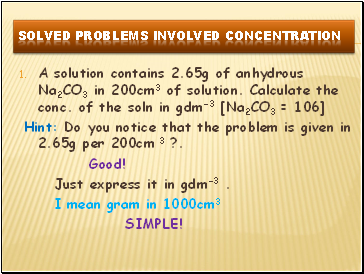 In gdm-3 ) :Mass (in grams) of a substance dissolved in 1dm-3 of solution. 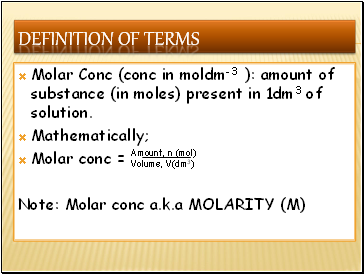 Molar Conc (conc in moldm-3 ): amount of substance (in moles) present in 1dm3 of solution. 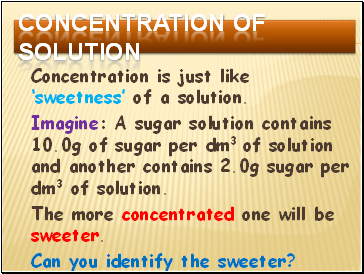 Concentration is just like ‘sweetness’ of a solution. Imagine: A sugar solution contains 10.0g of sugar per dm3 of solution and another contains 2.0g sugar per dm3 of solution. The more concentrated one will be sweeter. Can you identify the sweeter? The conc. of a solution is directly proportional to the amount(mole,n) of substance in solution at constant volume. C α n (V constant). The conc. (c) of a soln. 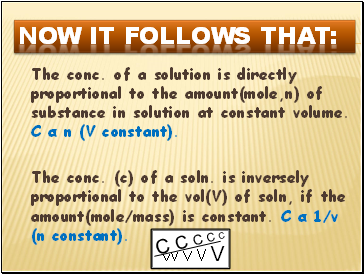 is inversely proportional to the vol(V) of soln, if the amount(mole/mass) is constant. C α 1/v (n constant). 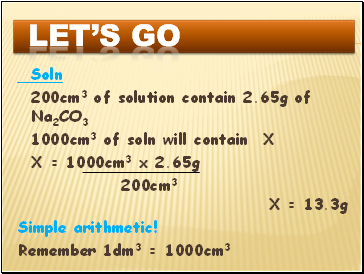 Hint: Do you notice that the problem is given in 2.65g per 200cm 3 ?. Just express it in gdm-3 . How do you know when you are reaching the endpoint?